HARTFORD - A Cheshire man has been sentenced to more than two years in prison for selling drugs to a woman who died of an overdose in Southington. Thomas Halleran, 37, was handed down a 30-month prison sentence in federal court on Friday. The prison term will be followed by six years of supervised release. This comes after Halleran waived his right to be indicted in June and pleaded guilty to one count of possession with intent to distribute, and distribution of, heroin and/or fentanyl. 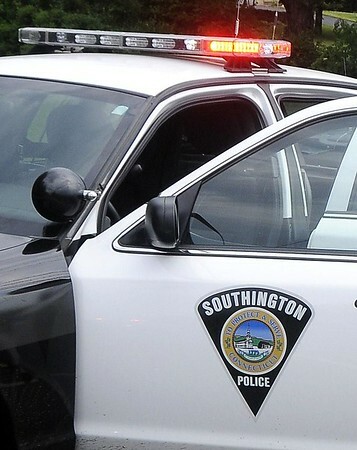 According to court documents, on July 25, 2017, Southington police and medics responded to an apartment in Southington, where they found an unresponsive 31-year-old woman on the floor. The woman, who has not been identified, was pronounced dead at the scene. The Office of the Chief Medical Examiner later concluded that the victim’s death was caused by the combined effects of fentanyl, acetyl fentanyl, methadone, alprazolam and alcohol. At the scene, police seized two folds of suspected heroin and Fentanyl, the victim’s cell phone and other drug paraphernalia. Investigators analyzed the phone and found that Halleran had been supplying heroin and Fentanyl to the victim in the weeks before her death, including the night before she overdosed. Halleran was arrested on Aug. 16, 2017, at a residence in New Britain. His arrest was part of an investigation conducted by the Drug Enforcement Administration’s New Haven Tactical Diversion Squad and the Southington Police Department. The squad includes participants from the New Haven, Hamden, Greenwich, Shelton, Bristol, Vernon, Wilton, Milford, Monroe and Fairfield police departments, and the Connecticut State Police. Posted in New Britain Herald, Southington Herald on Monday, 25 March 2019 20:45. Updated: Monday, 25 March 2019 20:48.